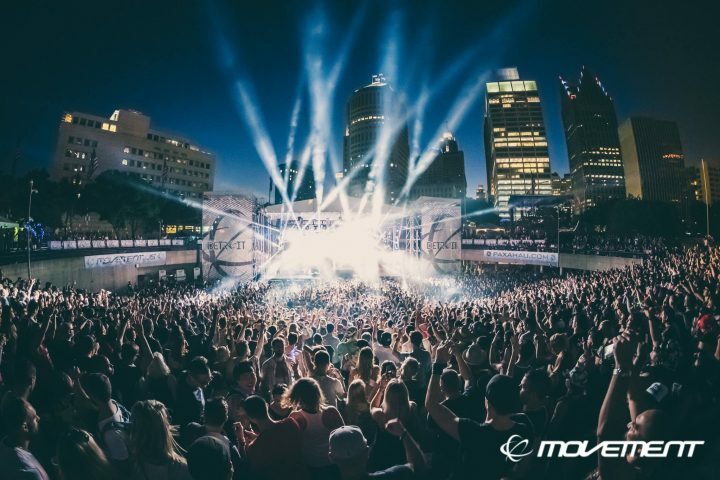 Movement Music Festival organizers today revealed the full artist lineup for the 2018 event, set for May 26-28 at Detroit’s Hart Plaza. 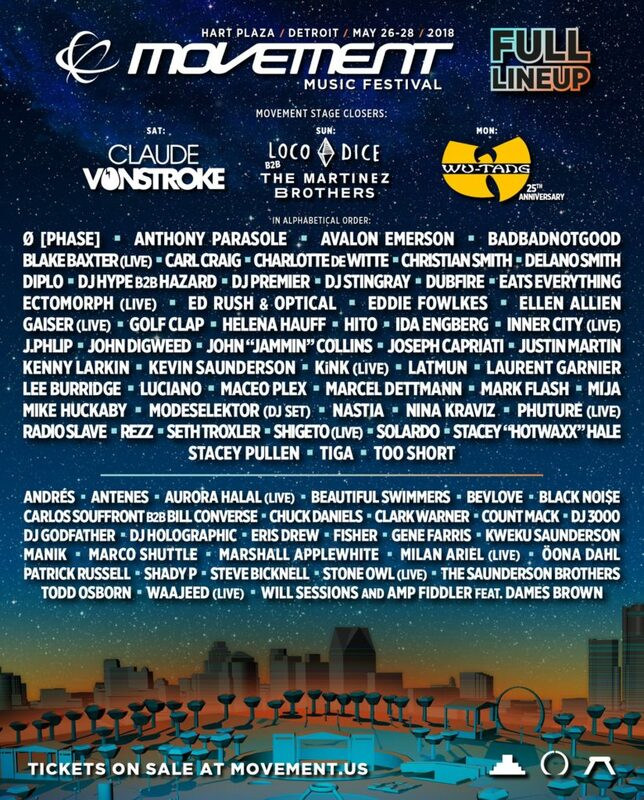 Artists topping the list for the Memorial Day weekend festival include Claude VonStroke, Loco Dice, The Martinez Brothers, Wu-Tang Clan, Badbadnotgood, Carl Craig, Charlotte de Witte, Diplo, DJ Premier, Ida Engberg, Inner City, Justin Martin, Laurent Garnier, Maceo Plex, Mija, Nina Kraviz, Rezz, Seth Troxler, Shigeto, Tiga, Too Short, and many more (see full lineup graphic below). This year’s event will include the festival’s original five stages and will feature new designs and elements for the Movement Stage, Red Bull Music Academy Stage, Stargate Stage, Pyramid Stage, and the Resident Advisor Underground Stage. Movement Music Festival tickets are on sale now, priced at $175 for a three-day general admission pass and $320 for VIP passes.